I don't know what causes this. It happens 4-5 times an hour. I am on a Ryzen 1200 with a GA-AB350M-D3H (rev. 1.0) motherboard. AMD SATA/AHC drivers are current and up to date. The SSD was purchased as new. I don't believe there is a heating issue. I've run HD tune on the drive and it finds no problems either. Two pictures - showing the activity time maxed out but with nothing shown in the resource monitor. The first screen shot is during the hang and second one is slightly after. Here are the SMART attributes from Storage Executive. Event 153 - The IO operation at logical block address 0x1678928 for Disk 2 (PDO name: \Device\0000002f) was retried. Event 129 - Reset to device, \Device\RaidPort0, was issued. If you are not using RAID, try connecting the BX300 to a non-RAID port (still a good idea to try another SATA port anyway). If you continue to use this SATA port, install the motherboard's RAID driver if it has one even if you are not actually using RAID. If you are using RAID on this drive, then try swapping SATA ports for the two drives to see if the problem follows the drive or the port. If that does not work, try using another SATA cable and another power connector from your power supply. The SMART attributes look good. If the above does not solve the problem, I would back up the drive or create an image of the drive and then I would Sanitize/Secure Erase it. This will erase it & reset it to factory defaults like flipping a circuit breaker and it affects all NAND blocks. Use Crucial Storage Executive if it is not a boot drive or use Parted Magic. Installing a clean copy of Windows (along with necessary drivers) may give you some information too before restoring your original installation. How many drives & types are installed on your system? Are you using RAID and if so what type? I don't know what RAID is. There are 4 separate drives, 3 ssd and one HDD. The BX300 is the boot drive. RAID is basically combining two or more drives together to gain speed and/or redundancy. 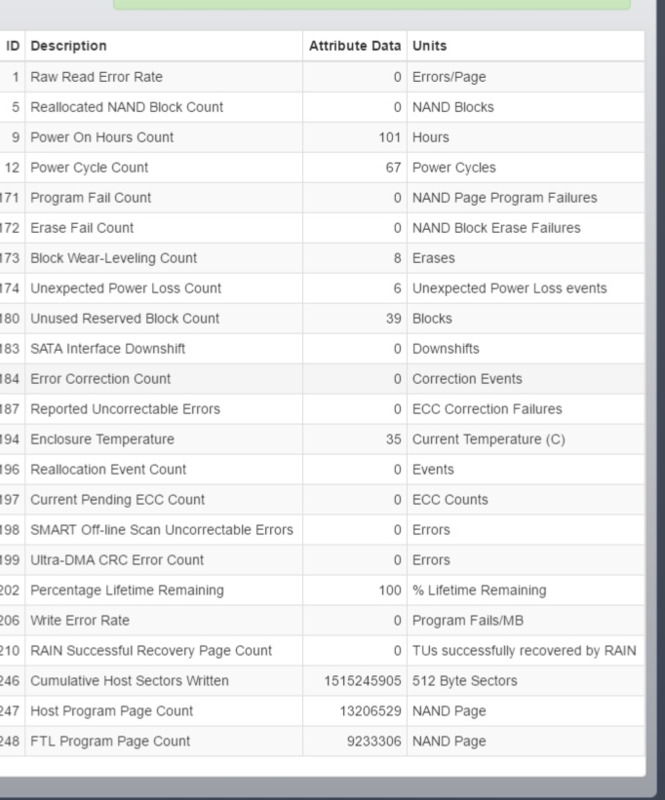 The errror log you posted mentions RAID so I believe the SSD is on a SATA port that can be used for RAID. It's possible there could be some side effects when using this SATA RAID port if you are not leveraging the RAID features. Sometimes the motherboard will actually label the RAID ports on the board itself, if not check your User Manual and connect the BX300 to another non-RAID SATA port. There is a small chance Windows may not boot when you do this, so remember which port it is connected so you can move it back if needed. Confirm using Disk Management that "disk2" is actually your BX300 and not one of your other drives. 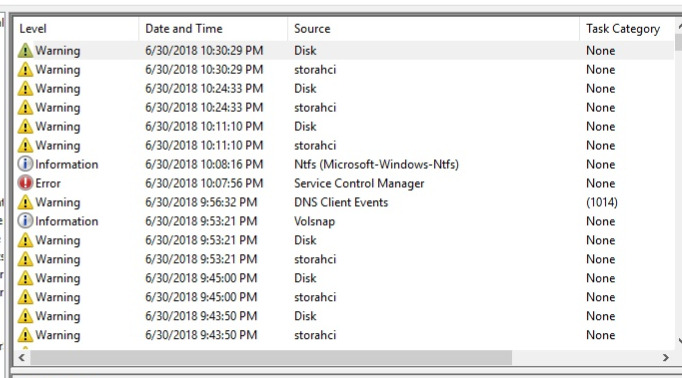 Also for testing purposes, you may want to disconnect the other drives just to make sure they are not interfering or causing the problem.